Styles can now be made that are set to use Half-Time and Double-Time RealTracks. For example, you can make a Jazz Ballad style (tempo 65) that uses a Sax Soloist at tempo 140 (playing double time). For RealTracks, many Jazz comping styles now play triads (instead of 7ths) when simple triads are entered, instead of “jazzing them up” to 7ths chords (e.g. Guitar: Freddie, Wes Piano: Some Jazz. All Stride, Rehearsal). If you prefer this “the old way”, where triads are automatically “jazzed up” when comping using Jazz RealTracks, then you can set the Prefs-Realtracks settings option to force 7ths for triads. Plus, you get a bunch more RealTracks. One of the Paks comes with some B3, and other has some excellent Jazz Guitar. Is it worth the money? Yes, I think so. It is a great tool for musicians who want to practice 50 choruses of soloing…..at whatever speed……in whatever style……in whatever key. Or perhaps you’ve like to figure out some chords for a song you were working on? Done. BinaB can help you there. Or maybe figure out what chords were played in a song? Yep, it can help you there too. So many uses for this program…..it should really be a REQUIREMENT for a Musician to own it. UPDATE: A few of the RealTrack Saxophone tracks are Eric Marienthal. How cool is that??? Almost 9 months after Apple released OS X 10.5, Digidesign got around to releasing an update to Pro Tools to let people run it “officially” on 10.5. Woohoo. I had to run Pro Tools on 10.5 due to a new Mac Pro purchase. It worked ok on the MacPro, failed miserably on my iMac. Then Apple released 10.5.3, and Digi released 7.4.2pr (pre-release), and that worked on the iMac. Looking forward to playing with it later. Native Instruments has released a FREE sound player. The Kore Player looks really cool. And the price is right (free), plus you can add in sound packs for a fairly reasonable price. However….I downloaded, twice now, the Player for Mac OS X. It installs just fine, but it cannot find any of the sounds it installs. In fact, running it as a plug-in in Digital Performer or Logic Studio, it loads just fine. Doesn’t have any sounds available. And running it as a stand-alone player results in more of the same. It LOOKS like a great product…..but it doesn’t seem to work. I emailed Native Instruments almost a week ago, and have not heard anything back……they don’t support it unless you have one of the sound packs. Heck, I’m a registered user of 3 Native Instrument products…….at least they should have replied back as I was interested in perhaps adding the Kore Player to my Mac. Create assignments with audio-quality accompaniment for any concert selection. Simply upload the audio file and distribute sheet music; then your band, orchestra, and choir students can practice their part with accompaniment in SmartMusic. I got into recording a while ago, my first interface being an original MOTU 828. That thing works great. However, it is not supported in ProTools, and I kind of want to start using ProTools more. Plus, I want to move it to my home studio to hopefully make it easier to record virtual tracks by connecting my PC and Mac together via the ADAT outputs of the 828. Anyhow, M-Audio came out with a diminutive new little recording box that works with ProTools M-Powered, and supposedly has excellent microphone preamps as well. This box would be their new USB2 Fast Track Ultra interface. You know, you think you never will win these contests that you enter online. Well….NA NA NA NA! I seem to have won one. I subscribe to the great SOS magazine which has all kinds of invaluable tips and insights on……tons of stuff like recording, using programs like Logic or Digital Performer or Protools, micing techniques, how to make your mixes sound better, etc. I decided to get a subscription last year when I came across their site while researching some audio products. I have saved many, MANY of the articles for future reference. Create Digital Music has an interesting article about using your old Nintendo NES with Apple’s Logic Studio. Not sure exactly why you’d want it, other than maybe to get your geek on and add some Mario sounds to your next album. If you want some more nutty things, check out Musicthing. They have things like making a mellotron out of 4 walkmen, and other strange things. Wired magazine has a very interesting interview with Herbie Hancock out. Way too short of an interview. But some interesting insights from the piano master. Today, Apple announced it’s Logic Studio. Not only did they pack a ton of features into an already feature rich product, they dropped the price to $499. Amazing. 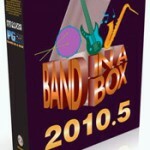 There are new features such as mainstage, five Apple Jam Packs, more software instruments, and thousands of other sounds. Plus, you get Soundtrack 2, which is an excellent sound editor (at least that is what I hear from my Final Cut nerd friends). I think I might have found where that $100 Apple Store credit is going now….Wonder what the next version of Digital Performer is going to do to match this…. UPDATE: 09/12/07 by E: A couple of other sites have some first impressions about Logic Studio. Create Digital Music has this article and this one as well. Will post more links as I find them. 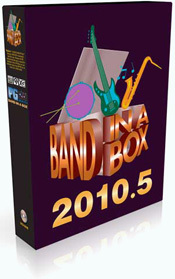 Compatibility with SmartMusic accompaniments created in Finale® 2008. I emailed MakeMusic’s tech support about the first thing a while ago, when Finale 2008 came out. Never heard back. Figures. Well, at least they didn’t wait nearly a year to update SmartMusic to read the SmartMusic files generated from the latest version of Finale (last time, it was August 2006 when Finale 2007 came out, and not until April 2007 when SmartMusic could read the SmartMusic files generated by Finale 2007). Ok, so we all know that the latest Macs all run Intel processors. You might have heard of an Apple Beta program called Boot Camp where you can get your Mac to boot up as a *shutter* Windows XP computer. You might also have heard of a program Parallels that lets you mitigate Windows to just a Window. Well, if you take the two programs, and add in Band in a Box 2007 for PC, you get a very functional program that runs pretty flawlessly. Yes, Virginia, it works fine…. Ok, so, first off, you need to download Boot Camp, and get Microsoft Windows XP Pro with Service Pack 2. Not Vista. Vista, as of right now, works fine in Boot Camp (IE: Dedicating the whole machine to it), but has a lot of issues with Parallels. Boot Camp is picky, and you need to have Service Pack 2. MakeMusic released Finale 2007 a while ago. August I believe. I’ve been using it since then, and I think I can finally review it properly. There are not a lot great new features in Finale 2007 compared to 2006. The big feature, in fact, really the only feature that is huge, is the linked parts. Though, on MakeMusic’s preview page they harp “features” such as “Authorization Improvements“, and “Improved pickups, vertical collision remover“. There are a couple of other new things I get to. Let’s dismiss the authorization thing. That is as lame as the Copyright symbol they billed as a feature in 2006. The vertical collision remover sorta works, but not really. I can’t really see any difference in the pickups as I really didn’t do much with complex pickup measure. So, lets dive into the reasons why you’d want to upgrade to 2007….. I have a love/hate relationship with MakeMusic’s Smartmusic. First, the love part. I love that it has a lot of backgrounds for classical etudes, and you can slow them down, tweak the key, etc. You can even record yourself with it, though the quality and the mixing of the resulting recording is not great at all. Hate part. They tether you to the computer. Personally, I hate looking at a computer monitor all day, and for music. I like to have music stretched out on my stand. 3 Pages sometimes. A lot of stuff, including the jazz stuff in Smartmusic, is screen only. While I can understand copyright issues for songs, for simple little jazz patterns I don’t. Why not let people print them? I tend to gather stuff while online. Pictures, articles, PDFs, this, that, the other thing. It’s really hard to keep track of stuff. Perhaps it was a website where you read this great article about taking care of your reeds. Or maybe it was that PDF of a solo you downloaded, but what was the file name again? Mac OS X’s Spotlight can only help so much in finding stuff. And on Windows…..you’ll have to wait for Vista for anything like Spotlight. Fear not. There are a number of solutions for this information overload, and the one I picked was DEVONThink Pro. It’s a great program that can keep track of all the STUFF you gather. All the PDFs I’ve collected. Articles out of FluteTalk, or the Double Reed Society. Or out of Downbeat. I have something like 16 gigabytes in DEVONThink right now. PDFs of songs. I can organize them. Categorize them. Type in some good descriptions. Plus, if I want to find a Beach Boys song, but I don’t remember the title…..I can search on it….instantly. I don’t really know of anything like this for Windows, but if you have a Mac, you should check it out.